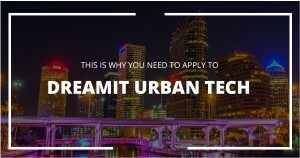 Dreamit UrbanTech invests in and nurtures startups that solve issues for urban areas and that impact the built environment. This includes startups in real estate tech, smart cities, energy efficiency, construction tech, and transportation. Apply by 6/23 to get in on this fast growing vertical.